Cut broccoli into florets and cut plain white (or whatever kind you like) mushrooms in half or whatever. Toss with olive oil and salt. Spread in a single layer, pieces not touching, and roast at about 400F for about twenty minutes, or until the tips of the florets kind of start to brown. SO GOOD! Charlie said he likes broccoli better this way than any other way. 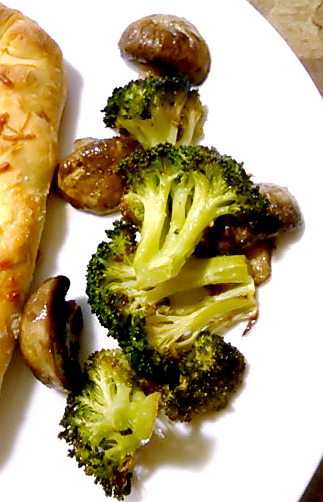 He isn't a major broccoli fan, it's true, but we both really really liked this, and the mushrooms were succulent, too. The poll results are in. Bubba's girlfriend's name is SUGAR. Thank you, everyone who voted! Fatal Foodies is a group of mystery writers and food lovers. We'll be reviewing food-related cozy mysteries, posting recipes, commenting on writing-related subjects, and announcing book signings and other events. We might even host some contests and/or giveaways. 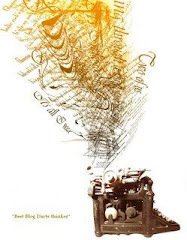 I'm a full-time freelance writer, editor and author living in Virginia. I have a terrific husband and two wonderful children who are, by the way, boy/girl twins. I love writing, reading, baking, cake decorating and, sometimes, needle crafts. I prefer almost instant gratification with my needlework, though. I have a cross-stitch picture I've been working on for years; but in the meantime, I've finished several pieces that can be done in an afternoon. My cozy mystery MURDER TAKES THE CAKE is scheduled for release by Bell Bridge Books in October of 2008. My heroine in MURDER TAKES THE CAKE has her own site. Check it out at Daphne's Delectable Cakes. I also have a Squidoo lens for Freelance and Novel Writing; so, if you're a writer, surf on over to that page. Visit my site at gayletrent.com. I'm a stay-at-home mom/writer/food fanatic in Fall Branch, TN. My two novels, Secrets, Lies, and Pies & Cheaters, Pies, and Lullabies, are published by Mountain Girl Press. Marian Allen has had short stories appear on the labels of coffee cans and the wall of an Indian restaurant. Many of her stories involve food, although she is not, as her youngest daughter claims, obsessed. She is not. She is currently working on a novel with recipes in it, which she'll finish if she can stop cooking and eating long enough to write. Short stories and recipes are available for free on her website, http://marianallen.com/.